If I had a little kid, I'd be all over this. Unfortunately, I don't think my cats would do much with it except lick the chalk. 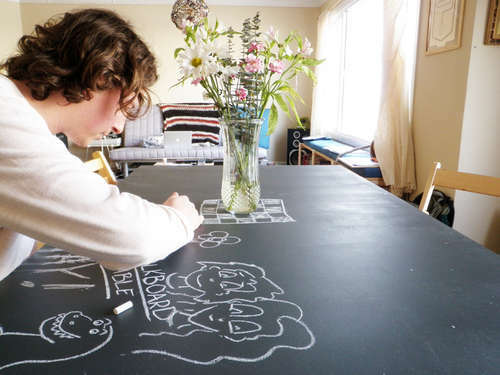 We had a chalkboard table for a while. We're all grown-ups, but it was still fun at dinner parties! We have a chalkboard pantry door now for to-do lists and such.